The Mormon Youth Chorus, conducted by Robert C. Bowden, provided music for the Saturday morning session of the conference. Bonnie Goodliffe was the organist. Music for the Saturday afternoon session was provided by the Farmington family choir, conducted by Jane Felstead. Linda Margetts was the organist. 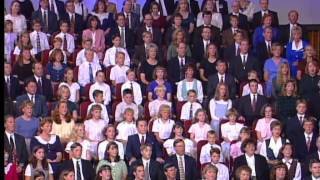 At the general priesthood session, music was provided by the Tabernacle Choir-Mormon Youth Chorus combined men. Craig Jessop and Robert Bowden directed the choir, and Clay Christiansen was the organist. 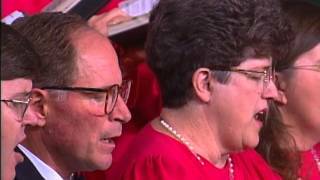 The Tabernacle Choir, directed by Jerold Ottley, provided music for the Sunday morning and afternoon sessions. John Longhurst and Richard Elliott were the organists. 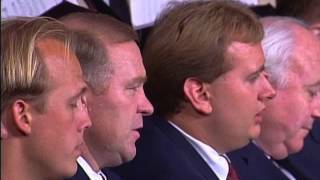 From the November 1997 Ensign — Music by the Mormon Youth Chorus, directed by Robert C. Bowden, with organist Bonnie Goodliffe: “The Morning Breaks” (arr. Bowden, unpublished; Hymns, no. 1); “Hark, All Ye Nations!” (arr. Christiansen/Bowden, unpublished; Hymns, no. 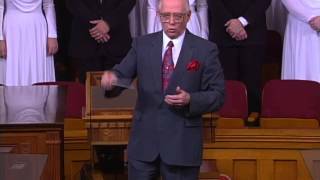 264); “I Believe in Christ” (arr. Turner, unpublished; Hymns, no. 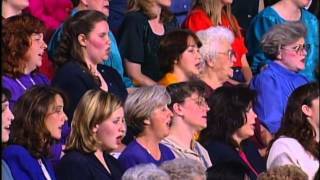 134); “The Spirit of God” (Hymns, no. 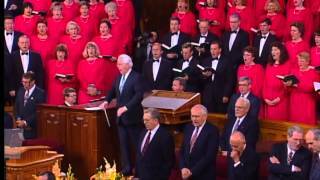 2); “We Thank Thee, O God, for a Prophet” (arr. Bowden, unpublished, Hymns, no. 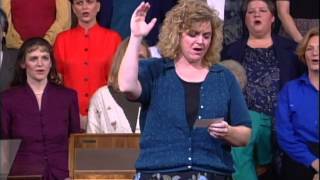 19); “Our Savior’s Love” (arr. Bowden, unpublished, Hymns, no. 113). 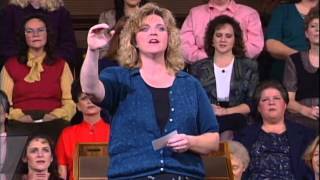 From the November 1997 Ensign — Music by the Farmington Family Choir, directed by Jane Fjeldsted, with organist Linda Margetts: “Faith of Our Fathers” (arr. Longhurst, published by Sonos, Hymns, no. 84); medley, arr. Fjeldsted: “Mother, Tell Me the Story” (Children’s Songbook, p. 204) and “Love Is Spoken Here” (Children’s Songbook, p. 190); “True to the Faith” (Hymns, no. 254); “How Will They Know?” (arr. Sleeth, published by Sonos; Children’s Songbook, p. 182. 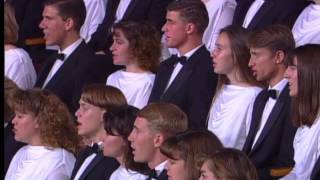 From the November 1997 Ensign — Music by the Mormon Tabernacle Choir–Mormon Youth Chorus Combined Men, directed by Craig Jessop and Robert Bowden, with organist Clay Christiansen: “Glory to God on High” (arr. Longhurst, published by Sonos; Hymns, no. 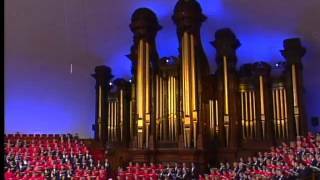 67); “The Lord Is My Shepherd” (arr. Bradford, unpublished, Hymns, no. 108); “Put Your Shoulder to the Wheel” (Hymns, no. 252); “I Need Thee Every Hour” (arr. Manookin, published by Sonos, Hymns, no. 98). 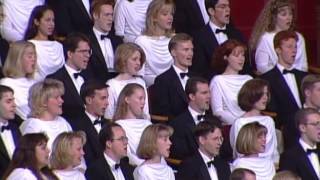 From the November 1997 Ensign — Music by the Mormon Tabernacle Choir, directed by Jerold D. Ottley, with organist John Longhurst: “Lead Me into Life Eternal” (Hymns, no. 45); “Jesus, the Very Thought of Thee” (Hymns, no. 141); “The Iron Rod” (arr. Lyon, published by Sonos; Hymns, no. 274); “Glorious Things Are Sung of Zion” (Hymns, no. 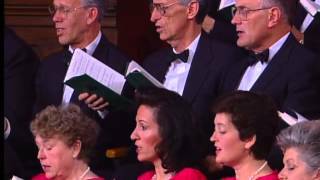 48); “Redeemer of Israel” (Hymns, no. 6); “How Lovely Are the Messengers” (ed. 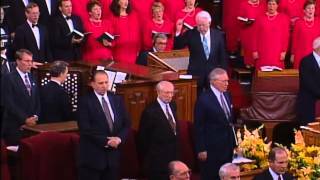 Ottley, published by Jackman); “I Know My Father Lives” (Hymns, no. 302). 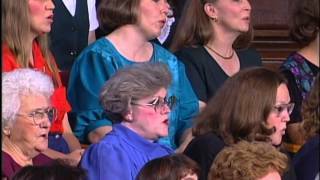 From the November 1997 Ensign — Music by the Mormon Tabernacle Choir, directed by Jerold D. Ottley, with organist Richard Elliott: “Come, We That Love the Lord” (Hymns, no. 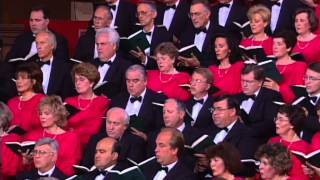 119); “Come, Come, Ye Saints” (arr. Manookin, published by Sonos; Hymns, no. 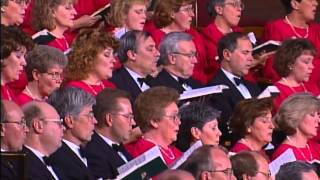 30); “High on the Mountain Top” (Hymns, no. 5); “Testimony” (Hymns, no. 137); “More Holiness Give Me” (Hymns, no. 131).